This Gem is located in the most secured building of the Heart of City of Calgary. 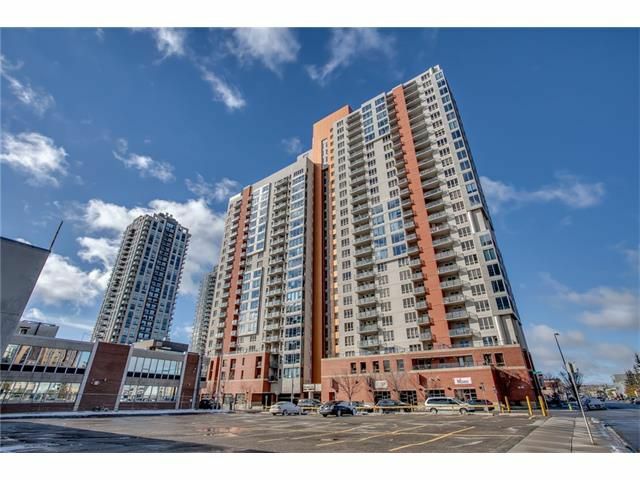 Very convenient location with back exit/entrance to CO-OP, walking distance to LRT and everything that can benefit the living in Downtown. One bedroom apartment on 14th floor with Gorgeous view of Downtown. Recently upgraded modern kitchen with iced-snow sparkling quartz counter top. Heated Underground parking and secured elevator. This complex also offering work-out facility and sauna. Interesting? So, don't wait, call your favorite Realtor now!